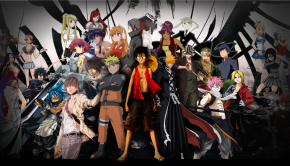 Afternoon, Anime fans and welcome back to Anime Mondays. Just because we’ve been away for some time, it doesn’t mean we’ve been sitting on our laurels. 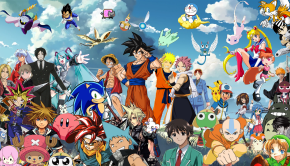 We’ve found a new, untapped source of Anime awesomeness. Where is this wealth of wickedly delightful hidden gems, I hear you ask? One word; Netflix. That’s right, the behemoth pay and view service has been adding Anime shows like there’s no tomorrow. I subscribed to Netflix just over a year ago and all year there’s been one, maybe two shows listed under the Anime section. Now they have twenty six. Some are old, but most are from only a couple of years, or even this year. So, for those of you that have Netflix and don’t fancy the endless Christmas films and TV, I’ve picked out, what I believe to be, the five best hidden Anime gems on Netflix… Yu-Gi-Oh In my naiver days, YuGiOh was much overlooked by myself and my peergroup; we were on the cusp of greatness and anything that wasn’t Pokémon just wasn’t Anime. But as I grew, so did my love of Japanese trading card games and now YuGiOh is a staple of my regular Anime watching, one that I’ll go back to time and time again. Despite its harsh critics claiming that it had absolutely no appeal in the Western market and that it was a failed attempt to revive the oversaturated pocket monster market, I find YuGiOh to be both enjoyable and engaging. 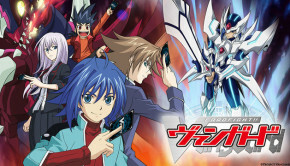 In fact, it’s very much like a previous show that I reviewed here, Cardfight Vanguard, in the sense that it’s primary function is to sell trading cards. But that doesn’t make it unenjoyable. If you’ve never seen it, don’t be put of by the fact that it’s aimed at children. Give it a go. 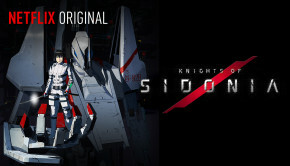 Sword Art Online If you pick up any show off of this list please let it be this one. It is a true gem that I only discovered through Netflix and I’m so glad that I did. In the year 2022, the virtual reality game Sword Art Online is released. Using a Nerve Gear, players can control their characters using their own minds, and experience the world of Aincrad as if it were real. Unfortunately, it becomes all too real when the creator of the game locks everyone out of the real world by hijacking all the Nerve Gear devices so that if you die in the game, you will die in real life. Only by clearing the 100th floor and defeating the final boss can the players win their freedom. It is essentially about the psychological and sociological implications of massively multiplayer online gaming, a subject that is very relevant in today’s gaming world. If it’s not the best, then it’s certainly one of the most intelligent Animes from the last couple of years. 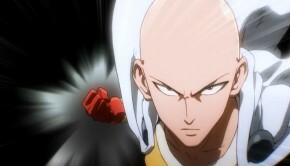 The show has its haters due to the polarising effect the story has if you couple it with the Manga novels, but it also has a lot of love from the Anime community. The characters are likeable and the episodes are action packed, unlike a similar Anime in this genre, .hack//SIGN, which was criticised for being too slow and over talkative. The animation style is also some of the best I’ve seen for a while; some of the wide shots look absolutely stunning. So, what I suggest you do is go and watch it right now. Full Metal Alchemist: Brotherhood Anyone with an ounce of knowledge about Anime will have heard of Full Metal Alchemist; it’s a series that went on to spawn a movie and several videogames. Anime fans love it. Well, when that series ended, the manga novels continued, leaving a huge gap in the story to be filled. That’s where Brotherhood steps in. After both suffer physical damage, brothers Edward and Alphonse, battle nefarious forces to try to reclaim their bodies. It’s that simple and yet, it’s a plot that is incredibly engrossing and will leave you wanting more at the end. Very few sequels in this world get things right, but Brotherhood has everything spot on from its depths of plot to its well rounded characters; not one single character is there just for the sake of it. Everyone gets to shine in this series. Just like its predecessor, I can see this series going down as a classic, one fans will watch over and over again. Do not miss it. The Irregular at Magic High School This little Anime gem was a real surprise to find on Netflix, as it only started this year. It’s not necessarily one of my favourite Animes, but because it’s all brand-new, I thought I would add it to the list for those that have never heard of it. In a world where magic has become commonplace, siblings Tatsuya and Miyuki enroll at Magic High School, where Miyuki’s honors status comes between her and her underachieving older brother, even though both of them are incredibly talented at welding magic. In essence, this show is Harry Potter on steroids. It’s full of the usual teenage dramas, but with magic making them ever so slightly more complex and complicated. Overall, I enjoyed the visual style of this one and the characters weren’t overly annoying or stock characters. The plot could do with some work, as the pacing often feels too slow and slightly offkilter. Other than that, it’s a pretty good series. I don’t think it will ever go down as a classic, but it’s worth watching while its on Netflix. 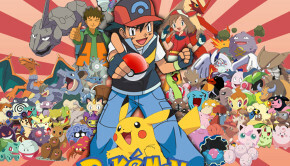 Pokémon – Indigo League No Anime list would be complete without at least one mention of Pokémon and they don’t come much better than the original series run. Those of you that have seen my previous article on Pokémon will know how much I love it; this series isn’t only where my love of Pokémon began, but also where my love of Anime started (Samurai Pizza Cats doesn’t count!). Pokémon is everything you would expect from this type of show and more. I won’t go on about it too much because you can go and read my previous review, but I will say that if you’ve never seen it, then quite frankly, you’ve been living in a cave! (NB – Netflix also has the Black and White series, which in my opinion is the closest to the original with regards to its quality.) Well, those are what I consider to be the five best Anime series currently available on the UK version of Netflix. You might disagree and if you do, put your thoughts in the comments below. These aren’t the only options available on Netflix. 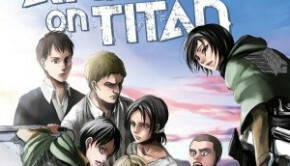 There are plenty more to choose from and for our cousins across the pond, the US version of Netflix has even more to offer, one of them being Attack on Titan, which is probably the biggest Anime since Full Metal Alchemist, or even Death Note, with regards to its cult following. I’ll be back here next month at the start of a brand-new year with an article looking ahead to what is coming in 2015 in the bright, beautiful world of Anime. 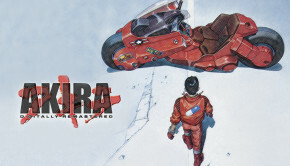 Akira – The Greatest Anime of All Time? Hello, and welcome back to my bi-weekly anime column, Anime Monday…Even though it’s Tuesday and a day late. Long weekend.